The latest edition of Irish Art Review features Irish street artists making their mark. 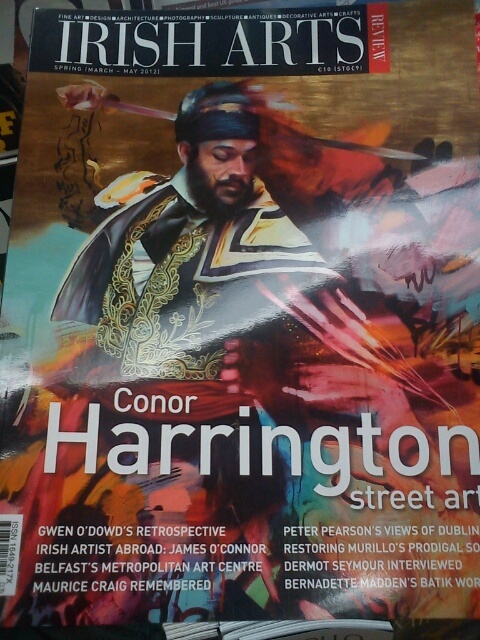 Fittingly Conor Harrington‘s work (arguably Ireland’s No.1 street artist) adorns the front cover. The article includes work and interviews with Maser, ADW, Rask and myself. Bravo to Irish Arts Review for recognising the role of street art in Ireland today.